We arrived in Pakse at 0700 and secured a tuk-tuk to chase our bus down - its the emptiest ordinary bus I’ve been on - its good, there are no dead chickens either! Tadlo doesn’t match the mental picture I had - but I love it! I am so glad I decided to come here. There’s just me, the Irish girl and an Aussie guy all staying in the same Guest House as we got the same bus and walked in from the road together. Tadlo is a little village arranged in a line along the banks of a river. The Guest House we’re staying in is no longer a wooden shack (as the Guide Book said) but a modern concrete and clean Guest House. Its cheap and clean, I have a balcony and an en-suite with hot water for 60,000LAK. From the balcony I can easily see Tadlo Falls - which are very powerful. I could jump into the Sest River from the balcony and you can hear the water crushing down over the falls from my bed. This place is so peaceful and beautiful - its exactly what I wanted/needed. Today we just took lots of photos of the main falls, chilled out and chatted. The Aussie guy has a Canon 10D and a few lenses, including a 100mm-400mm which he has let me use today. 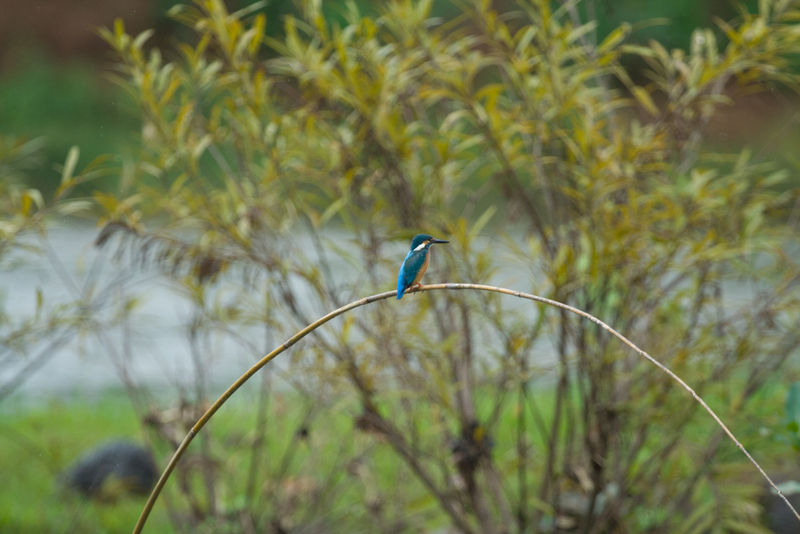 There was a kingfisher by the river which I have a few snaps of and then a lot of the waterfalls. You could just stay here and watch time go by. Tomorrow we’ll go on a 4-5 hour circular trek to take in some more falls and villages.